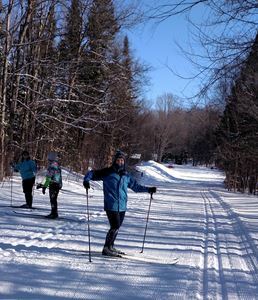 John McCarthy skis too fast to stop for a photo op. 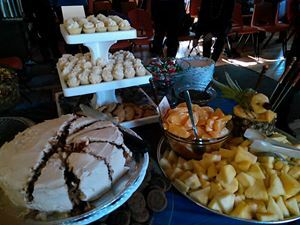 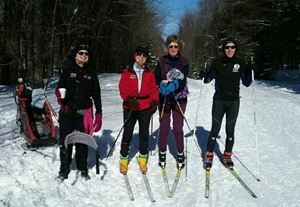 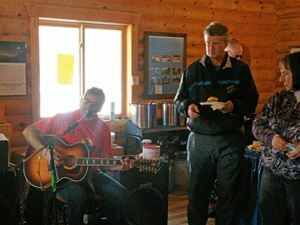 Paul Keber, Ann Riendl, Renee Couture and Sally Heuer (in front of child ski-sled) enjoy Taste & Glide Saturday. 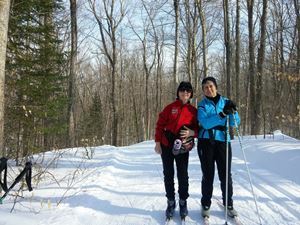 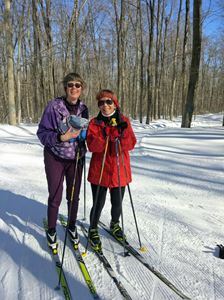 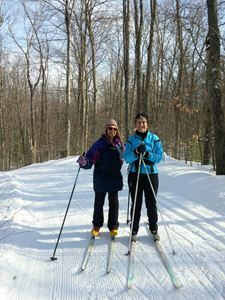 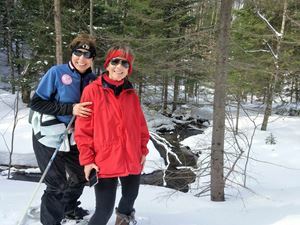 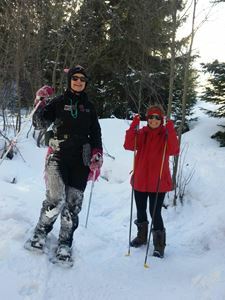 Abominable snowshoer (Sally) and little Dorothy Riesing enjoy the snowshoe trail. 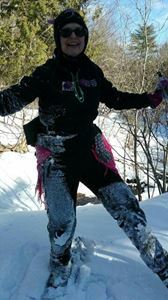 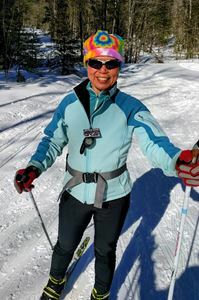 Yes, Sally DID fall on the snowshoe trail. 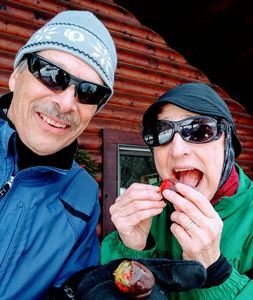 Thanks for sharing the news, Dorothy. 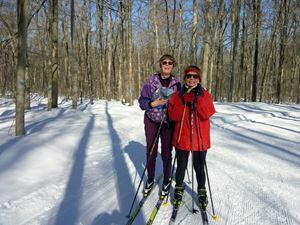 Anne R and Dorothy R out on W? 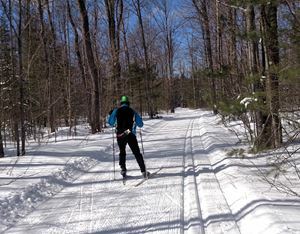 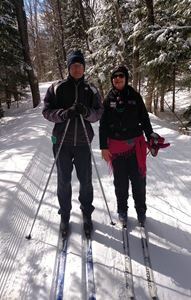 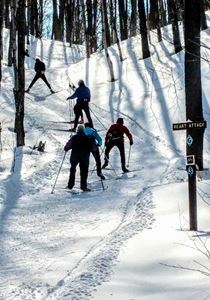 Joe Neidinger and Sally Heuer ski along the river on B trail. 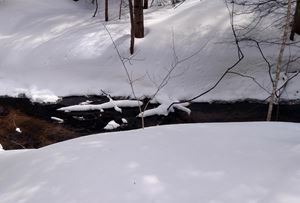 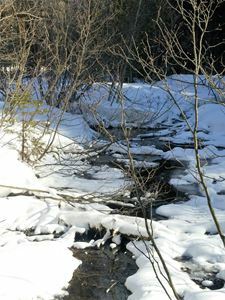 Snow lizards lie in the creek along B trail. 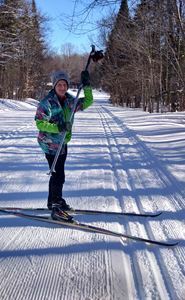 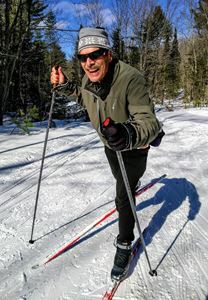 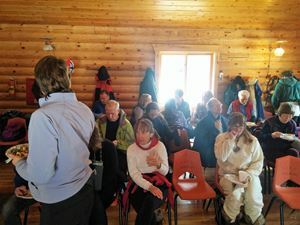 Intrepid trip leader Stan Rosenstiel gave classic ski lessons on Saturday morning.